Cyber-crime inspired blockbusters are always in the spotlight of security researchers around the world. The same happened with the Blackhat movie entering cinemas in January 2015. ESET security expert Stephen Cobb recently saw the movie and his insights together with lessons learned are now live on WeLiveSecurity.com. But beware, spoiler alert! Cobb admits that the story offers few of technical accuracies, but also diminishes plenty of others. “Just consider the coding: too much of it happens too fast to be realistic. Yes, I know it's "just a movie" but some admirable flashes of realism were undercut by the improbable speed of execution of some of the hacks,” explains Cobb in the review. Stephen Cobb also provides the top 5 IT security lessons people can learn from the movie. 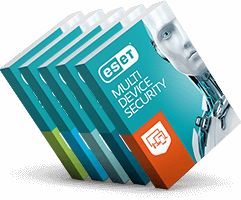 Read the whole review with tips by ESET security expert Stephen Cobb on WeLiveSecurity.com.